6 bathrooms + 1 downstairs wc. Large fully equipped kitchen with dishwasher, washing machine, range cooker, microwave, fridge/freezer. Possibility of renting the Carriage House, sleeps 12 in 5 bedrooms & the Mews sleeping 6 in 3 bedrooms. Also 2 cottages within the grounds that sleep 12 & 6, total of 45. Small pets allowed. No smoking. Children friendly. Rental doesn't include heating & electricity Outside: The Chateau has 3 acres of garden, woodlands, orchard and a field with large barbecue at the back. Brimming with character, this Chateau is ideally suited to accommodate large groups of friends/ family with young children. Our children and dogs were in seventh heaven with plenty of outside space to keep them entertained for hours. For a winter stay like ours, the large Inglenook fire was a huge feature and a welcome way to relax in the evenings. The Chateau offers a vast amount of accommodation over 3 floors. The top floor with its bedrooms and kitchen/ sitting room made for a great "den" for the children. The condition of the decor is not perfect however this actually suited our group well and allowed for a more relaxing stay. Whilst the owners Fiona and Mark were not present during our stay, they were a delight to deal with. Merveilleux weekend. Une demeure pleine de surprises et un hôte très sympathique et a l'écoute. 25 kms from D Day landing beaches, 1 hour from Bayeux, 2 hours from Mont St Michel.There is a very good choice of local restaurants nearby (a local bar serves an excellent 4 course supper for 15 euros inc. wine or cider). A hypermarket is just 5 minutes away. There are numerous sporting and tourist activities in the area, including golf, cycling, horse-riding and water sports. 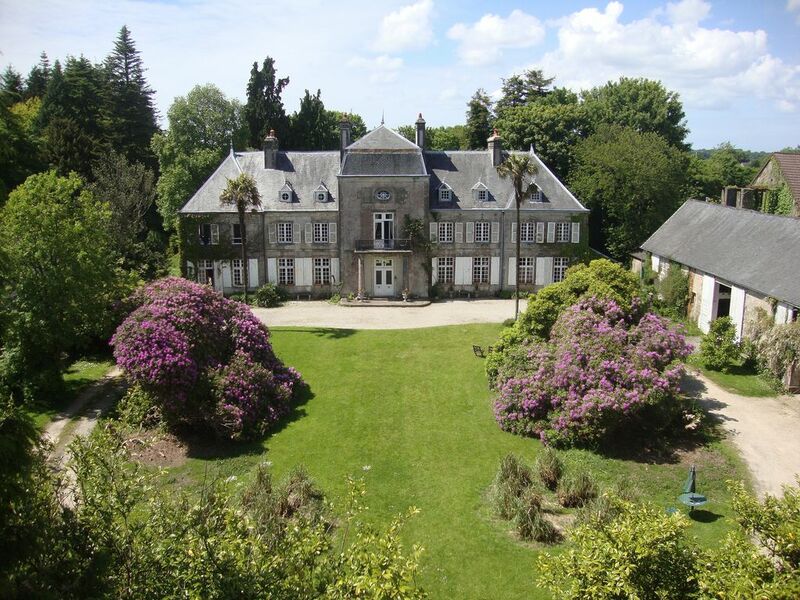 The Chateau is an ideal base from which to explore Normandy or just to holiday in beautiful surroundings. Changeover Day: Saturday, arrival after 4.00pm and departure by 11.00am. Flexible changeover days out of season. Notes on prices: Prices are for each property per week excluding bills in UK Pounds. Breakage deposit of £500 to be paid in cash on arrival from which we also deduct the bills & reimburse accordingly before departure.